BotDetect ASP.NET Captcha generator allows you to easily add Captcha protection to various types of ASP.NET based forms. Choose nuget.org package source and search for CAPTCHA. 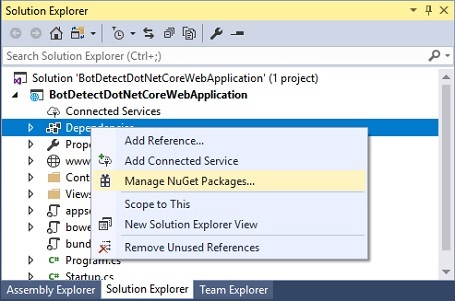 Choose nuget.org package source and search for CAPTCHA.asp.net.core.on.legacy.net.frameworks. 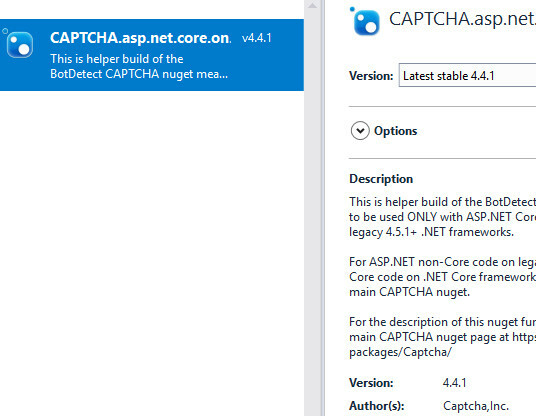 Install the CAPTCHA.asp.net.core.on.legacy.net.frameworks package. This should add a line to you project.json similar to the one shown below. The BotDetect.dll assembly should be referenced. They are included in the BotDetect installation. The BotDetect.dll assemby (and a example project made by following these instructions, named "Basic CAPTCHA example") is included in the BotDetect installation. You can download BotDetect ASP.NET CAPTCHA Control for free and use it immediately! 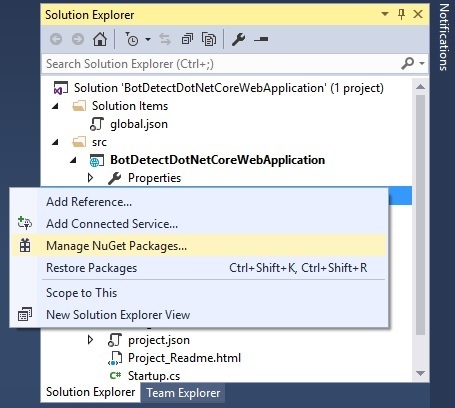 Your ASP.NET forms can be protected from spam (and bots in general) in minutes. 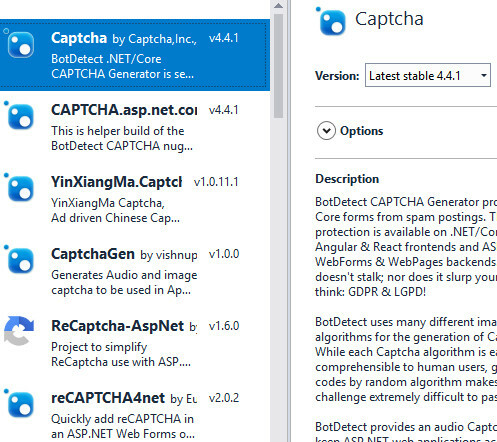 Once the BotDetect Captcha generator control has been integrated into your ASP.NET application and you're satisfied with how it works, it's easy to upgrade your license if you need the extra features and options offered by commercial BotDetect versions.